Energy giant BP will hold its annual general meeting in Aberdeen this year. Chairman Helge Lund made the announcement on Wednesday, praising the firm’s “great affiliation” with the Granite City. The AGM will be held at the Aberdeen Exhibition and Conference Centre on Tuesday, May 21. It comes after the supermajor held its 2017 meeting in London and last year’s in Manchester. Mr Lund said: “Following the AGM in Manchester last year, we have elected to hold this year’s meeting in Aberdeen, home of our BP North Sea headquarters. It comes amid a series of major oil and gas events in the city this year, including Offshore Europe in September. Aberdeen will also play host to the inaugural Energy Export Conference to be held in June. The city’s Lord Provost, Barney Crockett, said: “This is fantastic news for the City of Aberdeen. “BP choosing to host its AGM here is a great vote of confidence in Aberdeen as a world energy city and this announcement highlights the close association between the City of Aberdeen and BP. 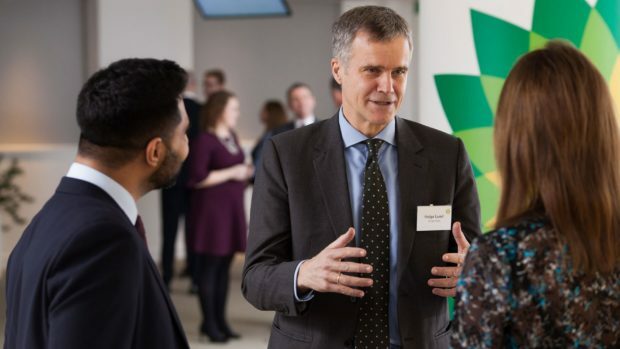 BP has recently played up the importance of the North Sea to its global portfolio, with regional president Ariel Flores describing it as the “crown jewel”. West of Shetland has been a major focus for the firm in recent years with the 450million barrel Quad 204 project and the huge Clair Ridge development, which could recover 640million barrels over the next 40 years.